How I use Animaker to create 1500+ kickass explainer videos a year! Damith Menaka - June 27, 2018 - Leave your thoughts. 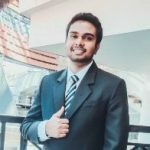 Damith Menaka is a freelancer based in Sri Lanka. He runs his own video production company that helps other businesses tell stories through videos. My passion towards graphic designing and animations started back when I was in high school. Even in the midst of a hectic school life, I used to refer to online tutorials and YouTube videos to learn how to make these wonderful animations. My real struggles started when I left high school to start my university education. I had to work really hard in order to cover the university fees and even with a full-time job I struggled with that. There were few instances I had to even postpone giving certain exams due to the lack of funds. That’s when I realized freelancing is the only way forward. Initially I had some moderate success with certain freelance websites but my incredible enthusiasm and dedication helped me to overcome all the barriers and eventually discover some real success online. I was able to get a lot of orders from people asking me to create explainer videos for their business. That’s when I learned that there is a massive demand for animated explainer videos and I just have to cater to the demand. Businesses around the world struggle to tell their story to customers. You can write a blog post for about 500-1000 words, but do you really think your customer will spend his time reading your entire article? I don’t think so. 1 minute of video = 1 million words. That’s where animated videos can come to your aid. You can tell your entire story in a simple 2-minute video. And your customers will love you for that. Most of the traditional tools I used for video creation were too sophisticated and not easy to use. It took me a lot of time to create a single video using such tools. As I was the sole person handling all my freelance gigs, I realized I should go for a quicker way to create videos in order to meet the demand. I was desperately searching for a perfect animation tool online. That’s when I came across Animaker in a blog post. Getting quality characters and backgrounds were the main challenges I faced. And also similar tools do not have so many characters poses/motions. Animaker was the simple answer to all those worries. I have used almost every animation tool and software out there. What I loved about animaker is the flexibility and the amazing range of resources available. Be it a character or a property, it has everything in one single place. Backgrounds and characters are simply world class. If you have a creative mind you can surely do wonders with Animaker. Animaker’s ease of use enabled me to complete a video project within a short period unlike any other platform. Till date, I create my own processes and workflows to make explainer videos starting from storyboarding, script writing to the final production. Recently, I even started my own video production company in Sri Lanka and the rest is history. Now we make about 1500-2000 explainer videos a year.